Pledge to stop bullying, hate, and violence today. 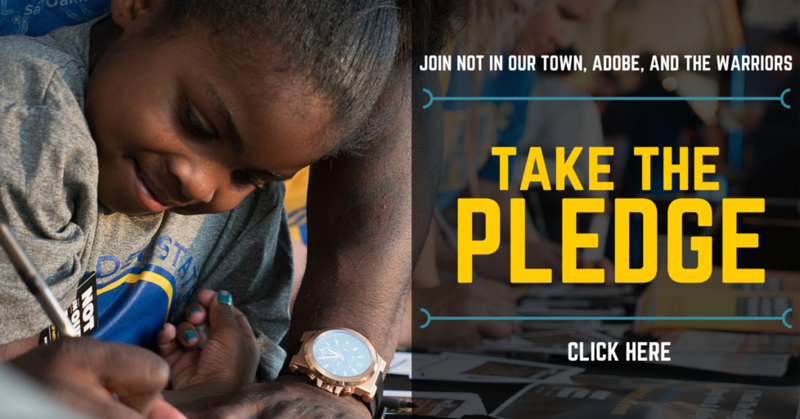 The Golden State Warriors are proud to stand with Not In Our Town's movement to stop bullying, hate, and violence for all. In the above PSA, watch the Warriors--including NBA All-Stars Stephen Curry and Klay Thompson--publicly share their commitment to stand up to hate, bullying, and violence. Draymond Green, Shaun Livingston and Coach Steve Kerr join the call. You can join them! Share this video via Facebook or Twitter today, sign the pledge, and share the pledge with your community! Want more information on our partnership with the Warriors? Click here! "I pledge to stand up to all forms of hate, bigotry and bullying. I will not stay silent in the face of intolerance based on race, ethnicity, sexuality, gender, religion, ability or any other factor. I will work together with my neighbors to create safer, more inclusive communities for all." when you hear a bigoted comment or “joke"
Keep the Pledge to stop bullying and hate in your head and in your heart. Share it with others. It starts with each one of us taking a step. If we all stand up together, we can change our school, our workplace, our community, our country. We can change our world. Check out some examples from California, Illinois, Iowa, Ohio, and West Virginia. 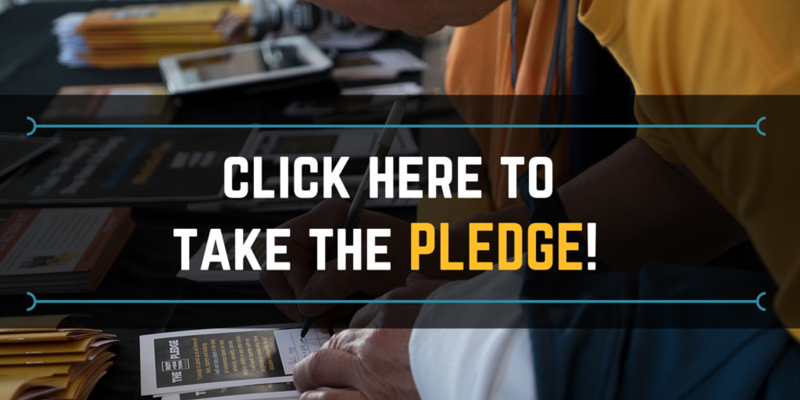 Want to learn more about how to spread the pledge at your company or workplace? Click here for a one-page toolbox, or here to check out our tips on how to bring the pledge to your company. Encourage friends, family, classmates, neighbors, and coworkers to stand up to bullying, hate, and violence. Simply print out the pledge and share! Spread the word and share the news that you are standing up to hate. Click the link below to share the message with your followers. Get your friends in on the game--post the news that you signed the pledge on your timeline, and get your network of friends to follow. Simply click the link below to spead the message against bullying, hate, and violence. It's picture day! Snap a pic with the hashtag #NotOnOurGround to show your commitment to the fight against hate, bullying, and violence. Clink the link below if you've signed the pledge to like and repost our steps to stop bullying, hate, and violence!